Heat oven to 350°F. 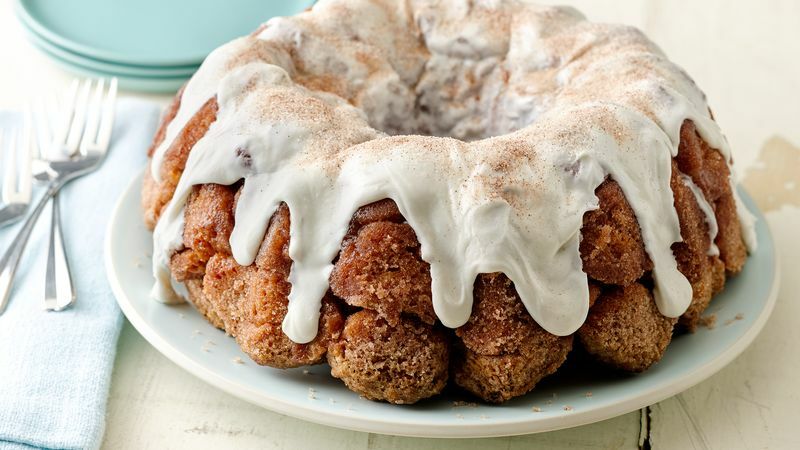 Spray 12-cup fluted tube cake pan with cooking spray. 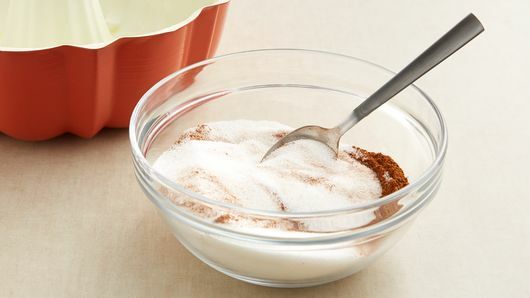 In small bowl, mix sugar and cinnamon until well mixed. Reserve 2 teaspoons mixture for step 4. 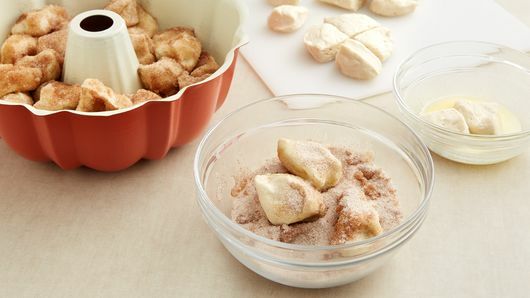 Separate dough into 16 biscuits; cut each into quarters. Dip each into melted butter; roll in sugar mixture. Place in pan. Sprinkle with remaining sugar mixture. Bake 34 to 38 minutes or until golden brown and no longer doughy in center. Cool 2 minutes. Loosen edges. Turn upside down onto serving plate. Cool 15 minutes. Frost with vanilla frosting. Sprinkle with reserved 2 teaspoons sugar mixture. Serve warm. 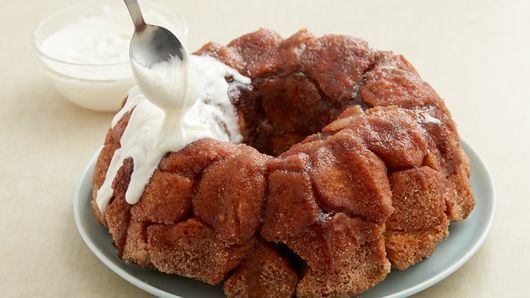 This delicious monkey bread would be great served with fresh fruit for a brunch.